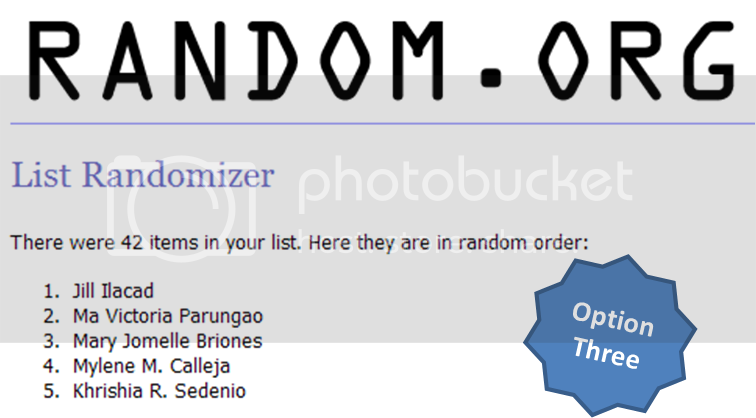 Thank you very much for joining our Pancake House gift certificate giveaway! With over 200 entries from more than 50 people, are you ready to know the winner? 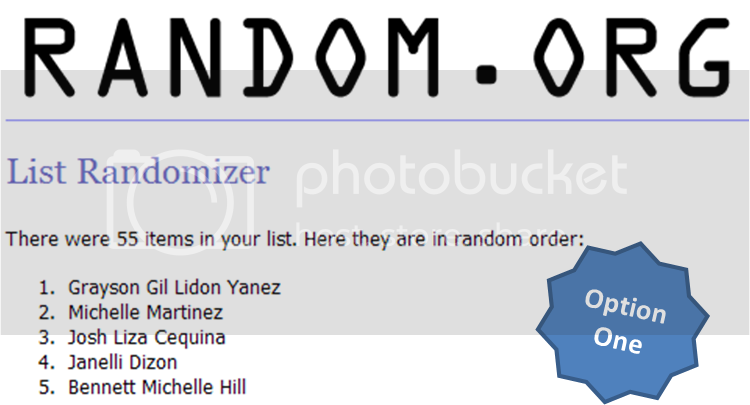 Here's how we chose the winner via Random.org. Since there were four options of joining the contest, we randomized all names qualified for each option and got the a semi-finalist from each of them. 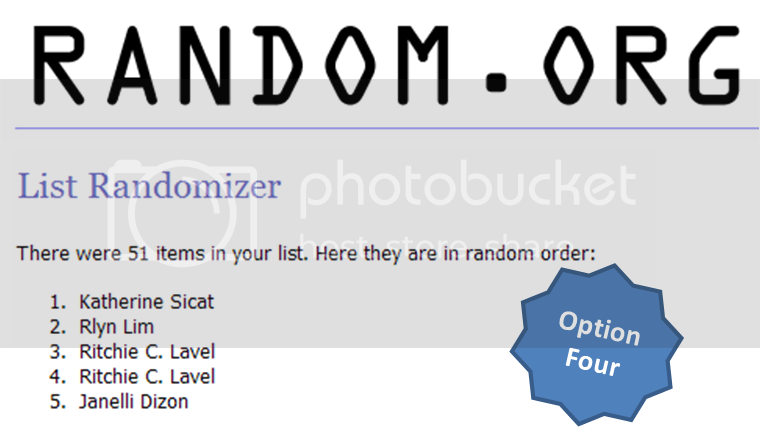 Below are the screenshots of the "draws." 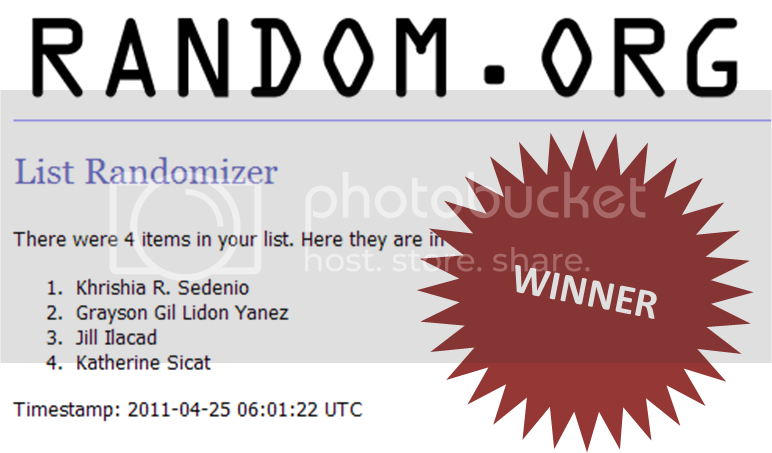 After the four draws, we drew the final winner from the list of semi-finalists. Are you excited to know who the winner is? All four semi-finalists must send me an e-mail at glichslife@glennong.com with Complete Name, Complete Mailing Address and Contact Number by April 29, 2011. The first in the list will of course get the GC, provided the email is received within given deadline. If the first winner doesn't send the details on time, next priority will be the second in the list, and so on. This giveaway is once again courtesy of WinilaCity Philippines and GLICH's LIFE. Till the next!